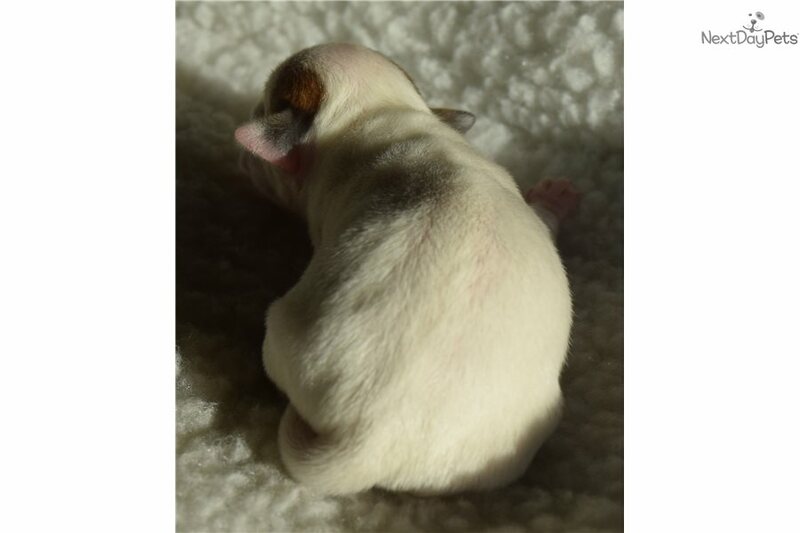 Champion Sired Smooth Coat Parson Russell Puppy! 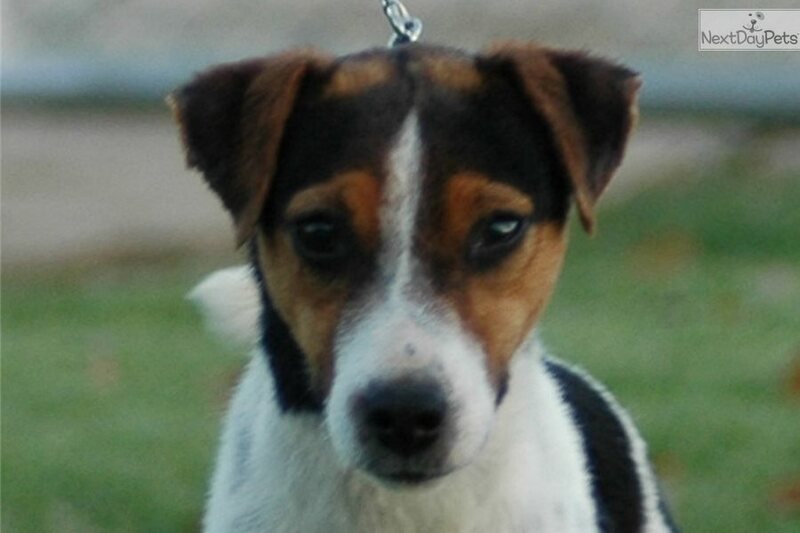 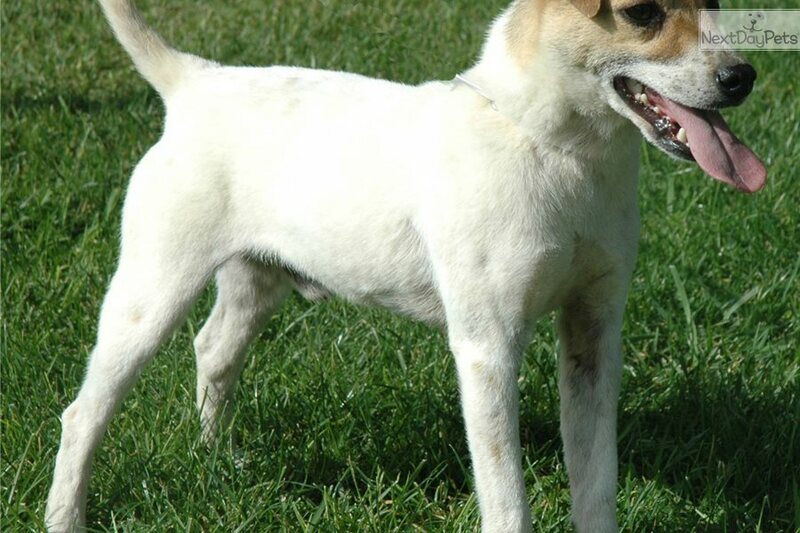 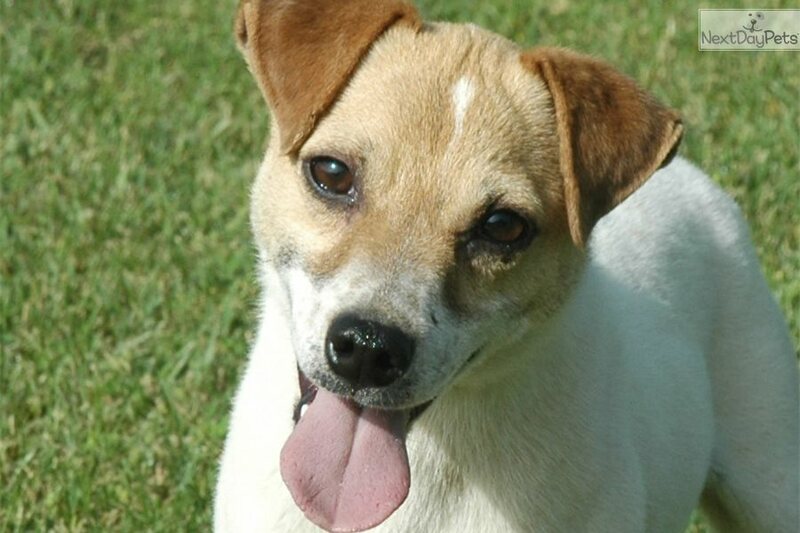 This Parson Russell Terrier nicknamed Electra sold and went to a new family. 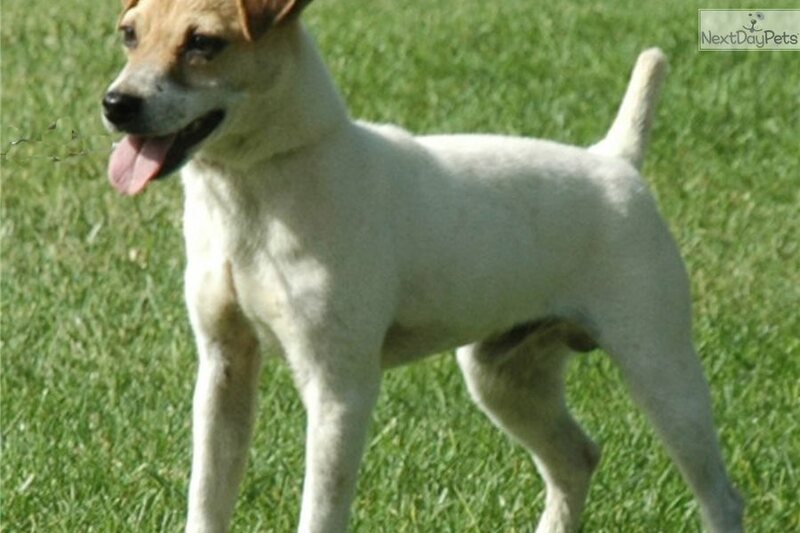 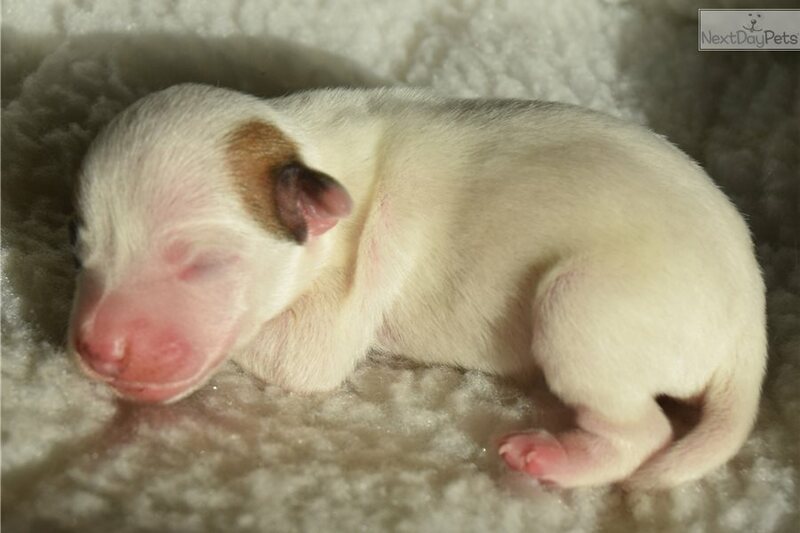 Offering this lovely, top quality, tan/white smooth coat female, Parson/Jack Russell Terrier puppy. 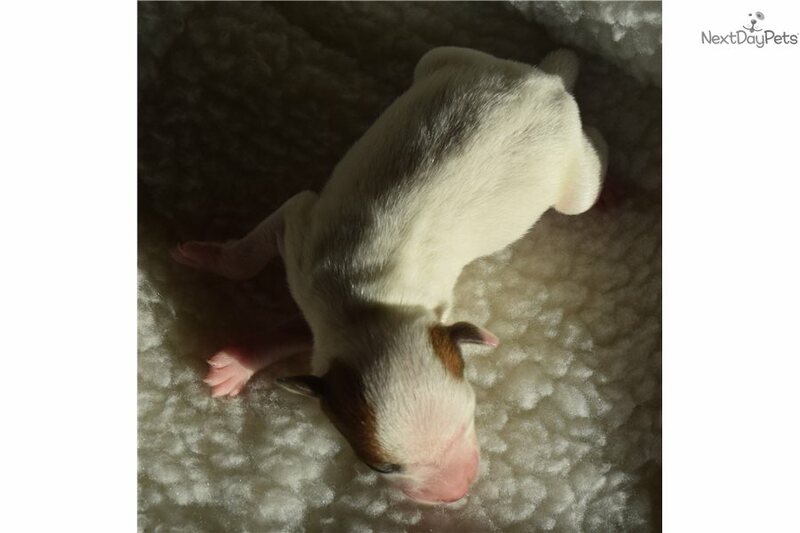 Father of the puppy is a multiple Champion and National Top 10! 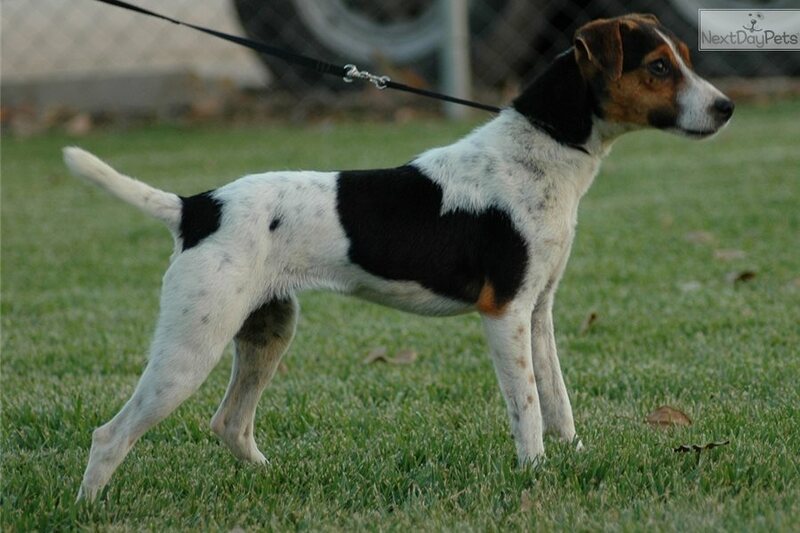 Mother of the litter is Champion Sired as well. 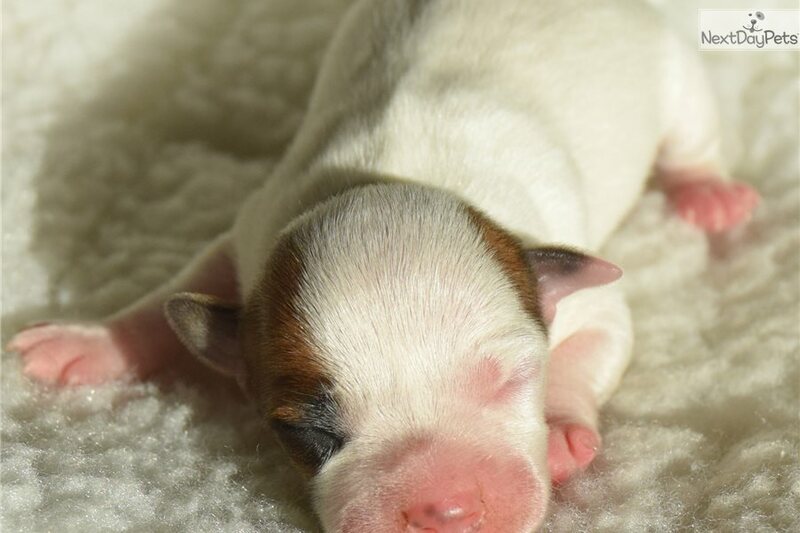 Puppies should make lovely, healthy additions to any family. 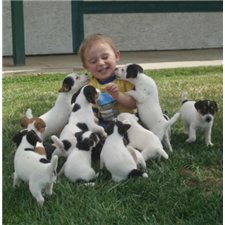 Our puppies are raised with love on our small Southern California horse farm and very well socialized around our two young children and an assortment of different types of critters. 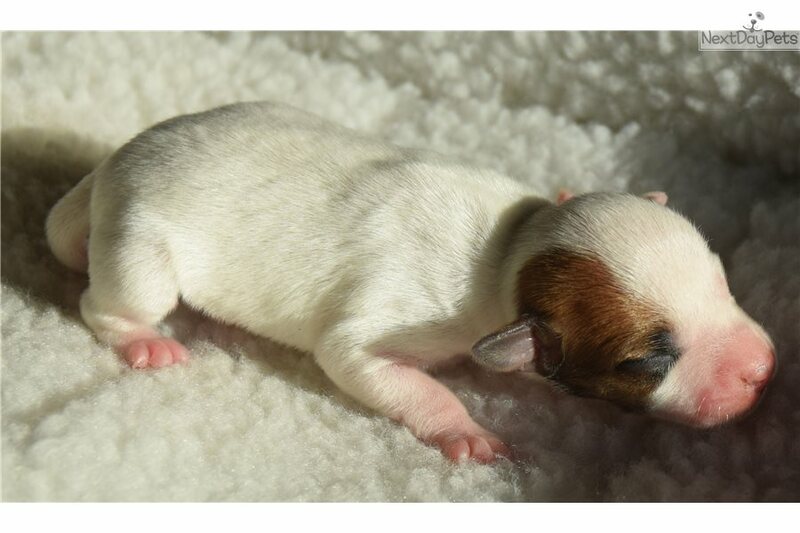 Our puppies go home with two sets of puppy shots, dewormed, tails properly docked to show/breed standards, dewclaws safely removed, complete paperwork for JRTCA registration, extended Champion pedigree, puppy info/starter packet and a very extensive 1 year written health guarantee. 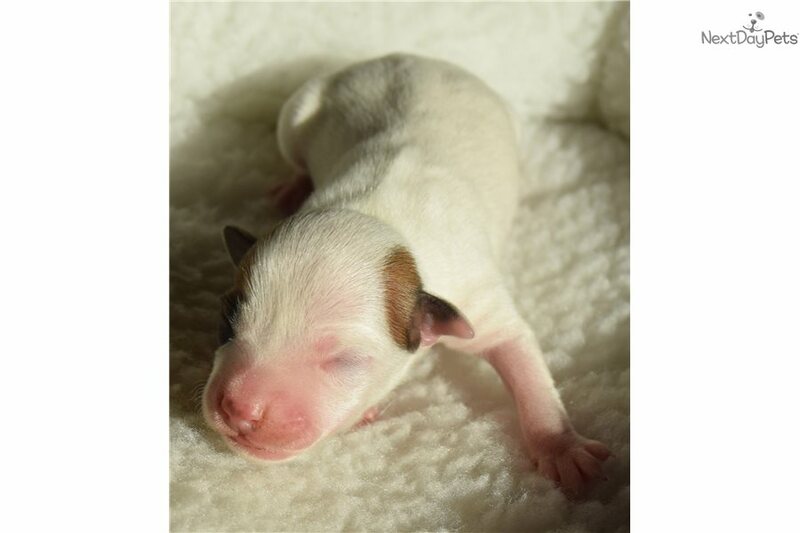 Both parents of the puppies have breed appropriate genetic health clearances including DNA testing for the deadly genetic disease, PLL. 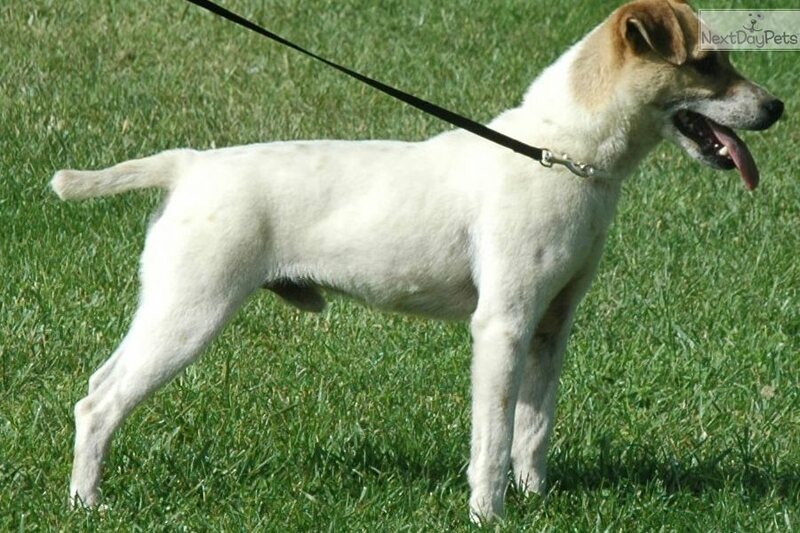 Shipping available in certain situations, please inquire if shipping is needed. 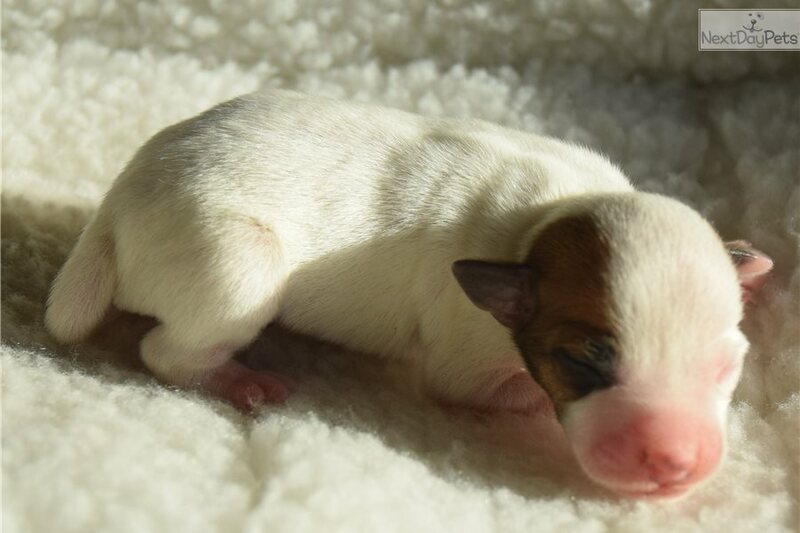 Puppies ready to leave for their new homes on February 1st.